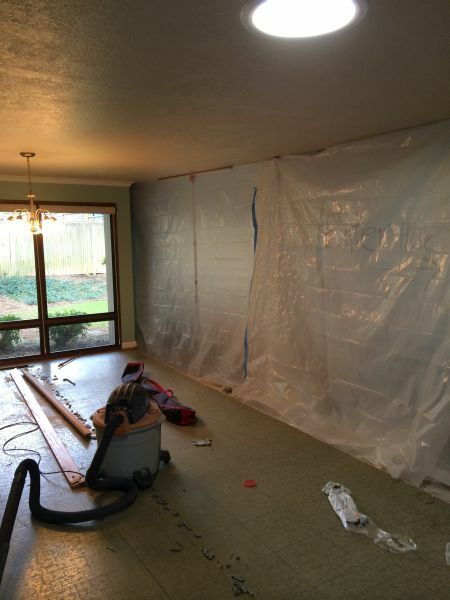 Demo began yesterday, and finished today! Before we can build up, we must tear down. 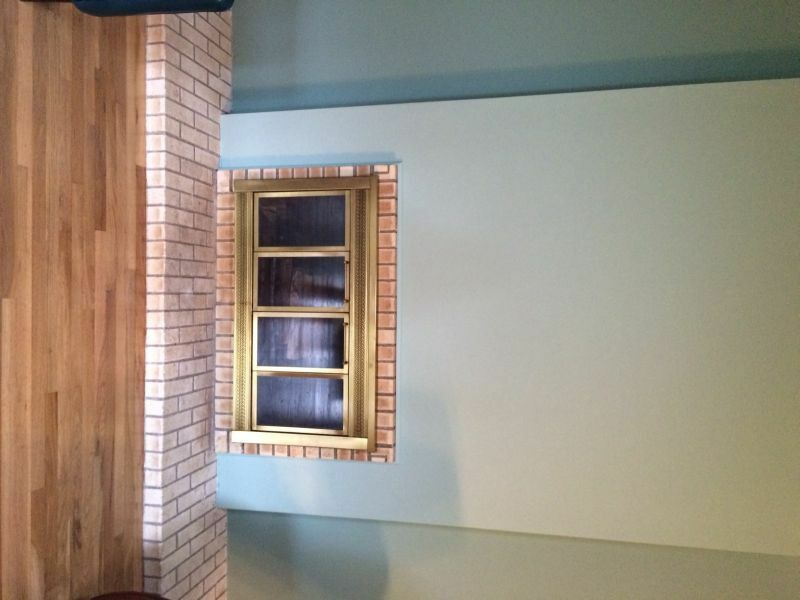 We also measured for kitchen cabinets, bathroom vanities, and a fireplace mantel today. This can be a difficult time for homeowners as the project crosses the point of no return. 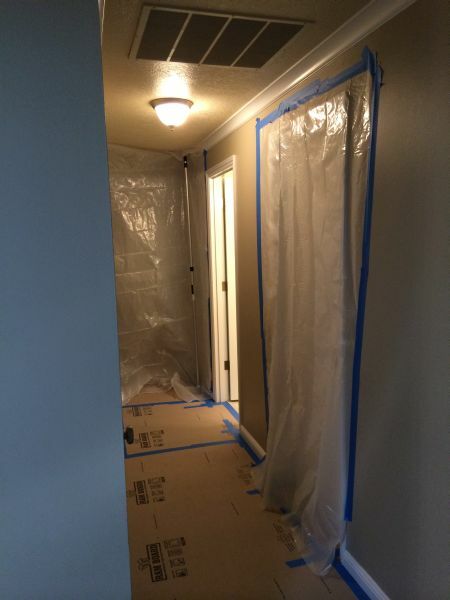 I prepared the homeowner beforehand what the home protection and demo would look like, but it was still a lot to come home to after a 12 hour workday :). It’s amazing what people can do to your house while you are at work! She was surprised by how much they accomplished in one day. I will meet with her tomorrow to go over some details, and confirm the electrical plan because the electrical rough-in is taking place within a few days. For our latest pr0ject, new Project Manager Kaethe Graves is sharing a behind-the-scenes look at the process we go through in transforming a home from “Before” to sparkling “After”. 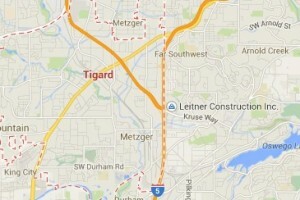 We’ve really looked forward to getting started with this wonderful, older home in the Portland area. 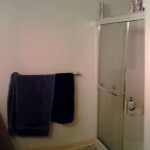 Here are some BEFORE photos. What would you do with this space? Perhaps you see your own kitchen when you view these…time to start dreaming? The homeowner is a single woman, and works long hours as a NICU nurse at a local hospital. She just recently purchased this 1967 ranch style home, moving from a two-story home. She knew when she bought it that she wanted to some updating, so she never even fully unpacked. When all is said and done, we will have updated both bathrooms, installed new white oak hardwood flooring in the kitchen, family room, and dining room (these floors will now match the wood that was already in the rest of the house), and we will be giving her a brand new updated kitchen! The initial project timeline was about 2 months, knowing that we had to work the project in a couple of phases to keep one her bathrooms functioning for her at all times.She is looking forward to a completed project and to actually be able to finally “move in” to her beautiful home! Portland in the wintertime can be a dreary, waterlogged place. We pay a price for the lush green landscapes we love so much, and every winter mother nature again takes her toll. However, we have discovered the perfect remedy for the Portland winter blues. The secret is to create such a bright, warm and welcoming space in your home that you forget completely about the deluge outside. We recently applied this philosophy to a classic North Portland home, working with the owners to create a dream kitchen rich in color and vibrant accents, with top notch appliances and fixtures…the perfect space for a Pacific Northwest family on long, dark evenings. This Portland kitchen remodel was one to remember. This refuge from the cold, a cozy 1944 Cape Cod near University of Portland, boasts Cherry wood throughout, with shaker-style cabinets and trim, and a unique, amazing butcher block counter laid one direction showing “water fall” style on side. The tile work and lighting serve to accent the warm tones of wood, and the stainless steel fixtures and appliances add a lightness to the space. These dynamics work together to create the perfect space for creativity and community, a centerpiece for the home and a gathering place for the family. The raised bar allows for informal seating and also a showcase for an active cook, and we worked in plenty of storage to maintain the already spacious counters. The large windows provide a great deal of natural light to increase the airy feeling of the kitchen. You should see this place with the morning sunshine streaming in! 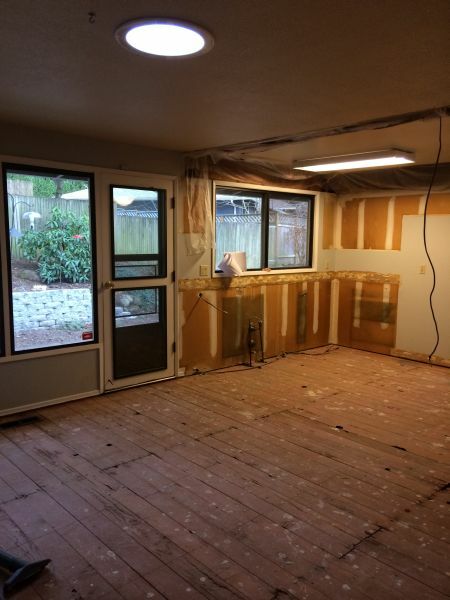 We’ve found that when taking on a Portland kitchen remodel project, the details are important: from the dreams and vision of the homeowner to the particulars of the home itself. In the case of this wonderful old home, our restoration breathed new life into a tired kitchen and we got to know some wonderful homeowners as well. We get to know the dreams of every client and the needs of every home, and this is what makes us stand out among our competitors. 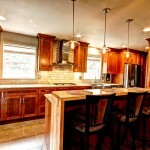 This Portland kitchen remodel was a pleasure from start to finish. 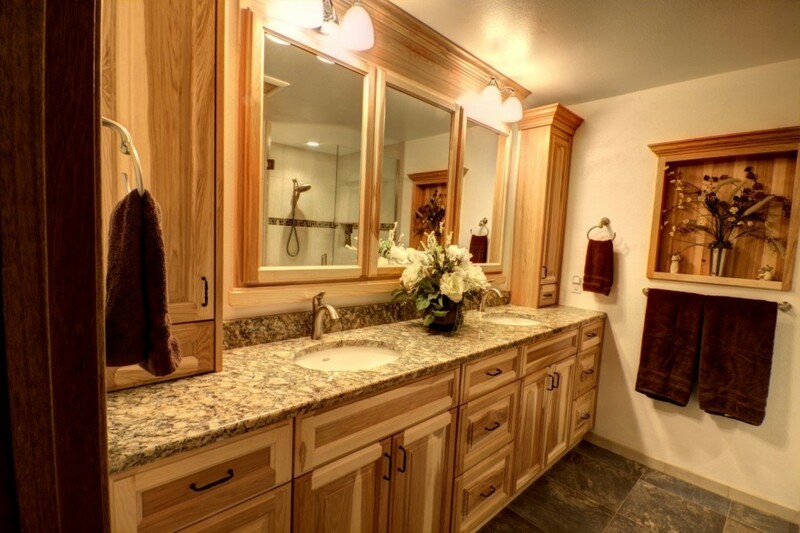 Leitner Construction continues to expand it’s remodeling presence throughout the Portland Metro area, most recently in Tigard, where our bathroom remodeling wizards dreamed up this fantastic hickory-accented bathroom space. 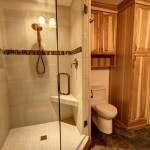 Jill Leitner, Owner and Project Manager, finds hickory to be a dependable option for homeowners looking for a bathroom remodel with an extra twist, especially in the case of this Tigard hickory master bathroom remodel. 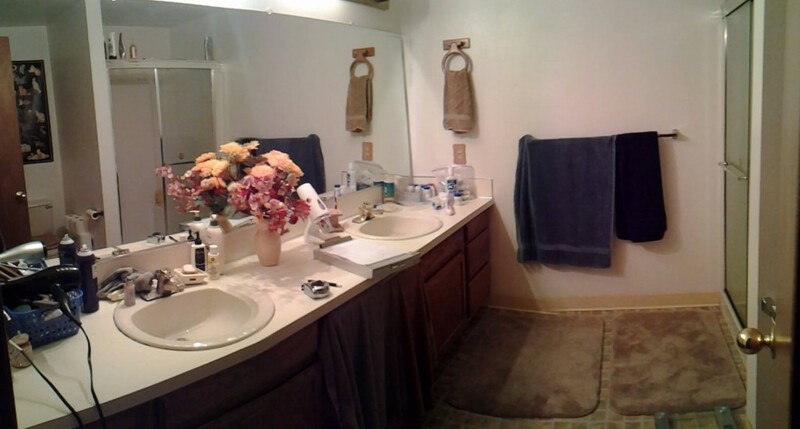 This Tigard bathroom remodel is an example of the incredible results we can achieve for our customers looking to give their tired old bathroom new life. The rich accents provided by hickory combine with the warm glow of lighting reflecting off genuine counters to create an atmosphere of peace and class. 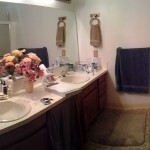 Enjoy the before and after pictures below, and consider what your dream bathroom might look like! This Tigard bathroom remodel presents a new way of thinking about hickory as a wood species of choice for bathroom remodeling projects. Hickory has some interesting traits. It is hard and extremely strong, making it useful in high-use wood items, but it has a distinctive straight-grained look and it’s overall hardiness and visual appeal make it perfect for high moisture environments like bathrooms. It also represents a lower cost alternative to some of the more expensive wood species, providing even more appeal to budget-minded homeowners. 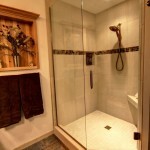 (Wood Magazine) This Tigard bathroom remodel is yet one example of what our flexible and creative team can do with a bathroom. 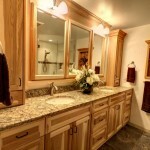 Check out our bathroom remodeling examples for some more ideas and drastically changed bathroom spaces. 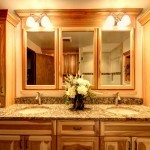 Our team is ready to think outside the box with you toward creating your dream bathroom. Contact us for more information about how we might help! 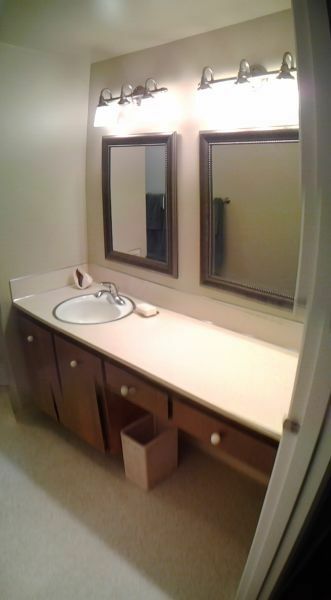 "We love our new bathrooms - they really are just what we wanted, including the closet! Very happy with the outcome - turned out just as we wanted! The time spent up front was appreciated - it paid off. Other than a few glitches, it went smoothly! Thank you! " 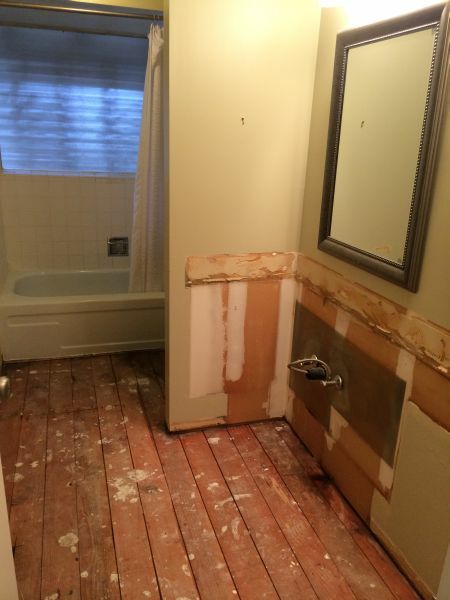 "Just wanted to let you know how much we are enjoying our new bathroom renovation. We are very happy with the work and the attention we received during the project. We love it! Thanks for a job well done!" 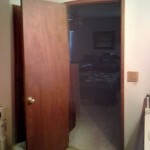 I want to let you know how pleased we are with the new doors that your crews finished and installed. They are beautiful. They make a tremendous difference in the appearance of our home and we are enjoying them immensely. The detailed attention given to the materials and installation process were outstanding and we appreciate everyone involved. Especially, Kaethe, who followed up continually and kept us informed at each step of the project. Another job well done! 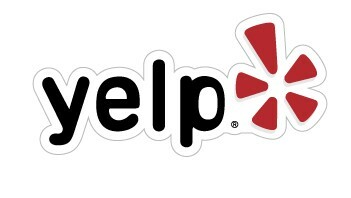 “We’re pleased to say that our entire experience with Tim and his wonderful crew of sub-contractors was completely painless. We found everyone ready and willing to listen to our ideas, concerns and graciously share their own. 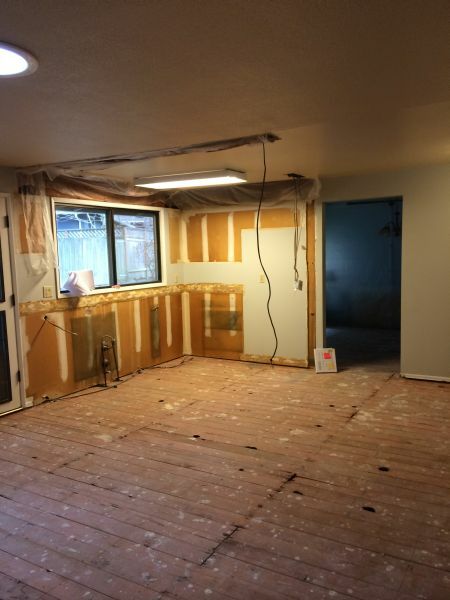 We lived in the house during the remodel with our two young children and didn’t find the process disruptive to our lives. And we appreciate how everyone on the team was considerate when our children were around. 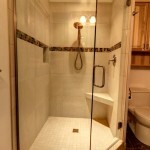 "Leitner Construction has done 2 projects for us. 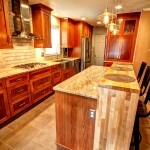 The most recent a total kitchen remodel. They do quality work and are extremely pleasant to work with. They will be the ones we call for our next project!" This is the third time we have hired Leitner Construction and have been far more than pleased each and every time. It is refreshing to deal with a company that stands by their product and delivers precisely as originally promised. We frequently find ourselves sitting in our living room just staring around at the beauty that surrounds us. Thank you very much to Leitner Construction, especially Paul Bisby, for all of the recommendations, suggestions, and guidance given throughout the project. 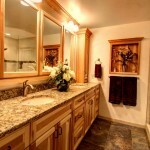 We receive many compliments on our remodeled home. 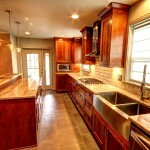 "Thank you again for all the hard work you and your team did for us in giving us our new kitchen and bathroom. I definitely can see us living here for another 30 years." "It was with much excitement and nervousness that I began my search for a company to remodel my 1922 fixer. 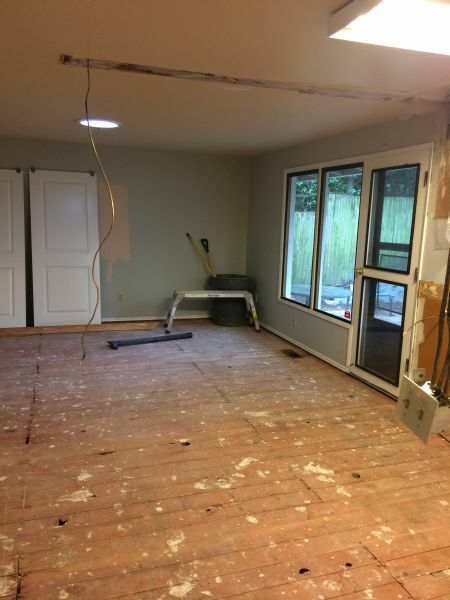 A chance encounter with a co-worker lead to conversation about remodeling. She was very excited to tell me about Leitner Construction. Working with you and your employees has been a pleasant, positive experience. 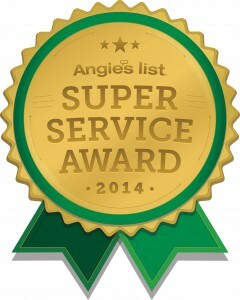 Your motto Integrity-Quality-Service is SPOT ON!" "We knew what we wanted done and you made it happen without trying to sell us on other ideas!"